Sale Sharks director of rugby Steve Diamond was disappointed by their error count despite the convincing 41-3 win over Cardiff Blues in Pool 2 of the Anglo-Welsh Cup. Denny Solomona, Jonathan Mills, Laurence Pearce (2), Neil Briggs and James Flynn all touched down while the Greater Manchester outfit were also awarded a penalty try in the victory. 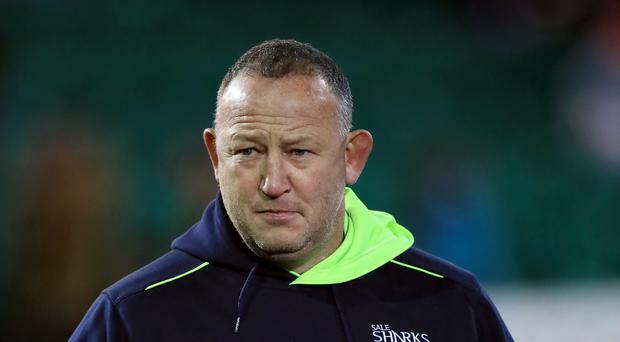 Having ended a run of 10 consecutive defeats last weekend against the Scarlets, the Sharks made it two wins in a row, but Diamond was frustrated with elements of their performance. "We always had the game in control but anybody watching that would think we had a knock-on coach the amount of times we gave the ball away," he said. "We asked them to nil the team in tries, we asked the set-piece to be dominant and we asked them to score more than five tries, and we managed to do that." Diamond also felt that they failed to properly utilise the threat of Solomona after struggling to get the ball to the right wing throughout the game. He added: "When you've got a player like Denny Solomona on your team and you only get the ball to him once in the second half it's not great game-management, but we'll work on that. "There was a lot of nervous energy out there. They all want to do well and sometimes you try too hard and that's what looked like was happening. "They've just got to chill out and calm down, know they're good players and put sides like that to bed." Sale inflicted Cardiff's third defeat in the competition and duly ended the Welsh region's chances of qualifying for the semi-finals, but coach Richard Hodges was pleased with his young team's resilience. "I was pretty proud if I'm honest because there was a mismatch in terms of the selection," Hodges said. "We've had a whole load of boys make their Cardiff Blues debut tonight from tier two of our academy. "I thought that the effort they put in defensively was good, although I was disappointed with a couple of tries, particularly the last one. "Obviously, the three head injuries and two yellow cards didn't help either!"